LTE filters for TV antennas: What they are and do you need one? An LTE filter will block out local cellular signals and that could help your TV reception. 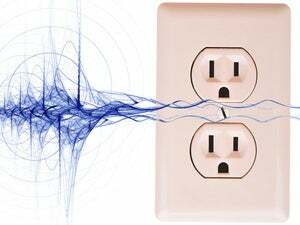 The airwaves above your house are packed with signals that usually live side-by-side with no problems, but sometimes interference can occur. When it comes to digital TV reception, cellular signals on nearby frequencies can mess up your picture. Strong signals can disrupt and interfere with television signals causing pictures to momentarily break up or making the channel impossible to receive. In those circumstances, an LTE filter can help. What is the LTE problem? Television broadcasting in the United States is split between three frequency bands, with the majority of broadcasters using the UHF band. UHF currently runs from 470MHz to 698MHz and includes channels 14 to 51, but it used to be wider. 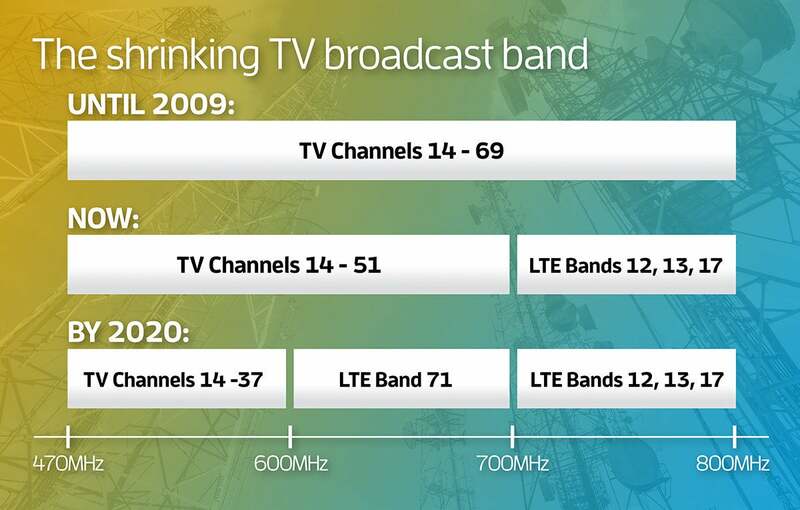 Until 2009, television broadcasting went up to channel 69 at 806MHz, but that upper portion was reallocated to cellular carriers to help them cope with surging demand for 4G wireless. Demand for mobile broadband spectrum has slowly shrunken the TV broadcast band in the U.S.
That placed LTE signals directly adjacent to TV broadcasting and at frequencies that many TVs and antennas were designed to receive. Under most conditions, a TV will ignore those higher frequencies, but if the signals are strong enough, they can bleed over into the lower frequencies used by television stations and cause interference. What is the solution to LTE interference? 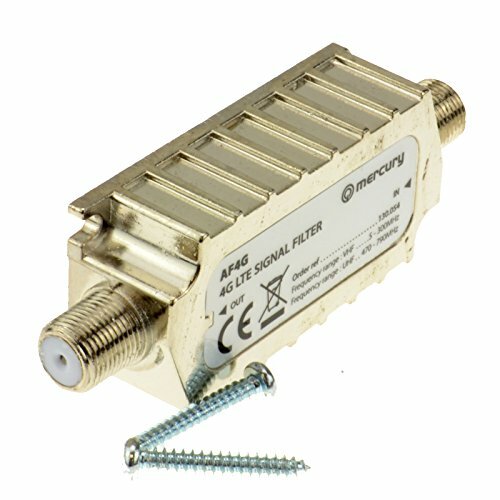 An LTE filter is designed to stop interference by aggressively clamping down on radio signals outside of the TV broadcast band. The filter sits inline with the antenna cable, so it only affects signals traveling between the antenna and the TV and won’t affect LTE reception for nearby phones and tablets. The diagram below shows the signal response from an antenna with and without an LTE filter. 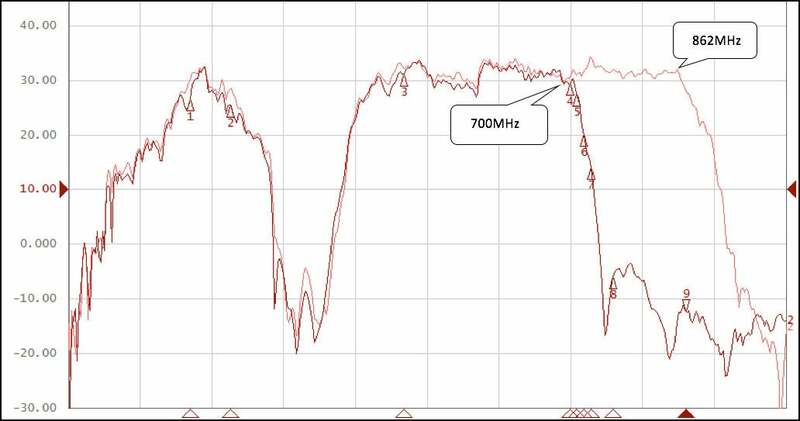 The unfiltered connection (the lighter red) has strong signals above the 700MHz top of the broadcast TV band, but with a filter (the darker red) those signals are significantly reduced so they won’t interfere with TV reception. Antenna plots from a network analyzer show the effect of a 700MHz filter on signal reception. LTE transmissions occur at several frequencies and not all filters are equal, so this can leave you having to experiment a bit to see what works. Luckily, there isn’t a mass of filters on the market. Channel Master’s LTE filter clamps down on signals between 700MHz and 2000MHz, which covers almost all the LTE transmission bands in the U.S., but it’s not the cheapest filter on the market. Mercury has a filter that will save you money, but it’s built for European markets where TV signals are broadcast up to 790MHz. So it’s unlikely to be effective for interference from transmissions at the lower end of the LTE transmission bands. Unfortunately, there’s no easy way to figure that out, but the low-end signals are more likely to be the culprits of any LTE interference. Another solution is to buy a TV antenna with an LTE filter built in. Antop Antenna, an Ontario, California-based antenna maker, puts an LTE filter into every antenna it makes. Winegard has just added a model—the Elite 7550—to its range. Before you put down cash on an LTE filter or a new antenna, it’s worth trying a few other things to solve your interference problems, because while LTE signals can mess with a TV, there are other more likely causes. Eric Jiang, President of Antop Antenna, says typically interference problems on TVs are caused by having the TV antenna in a bad location. Moving it just a few feet can drastically change reception. And sometimes the signal put out by a TV station just isn’t strong enough to reach your location. If you’ve exhausted other avenues or you know there's a cell tower very close by, a filter could solve your problems. Interference from LTE signals could get worse as more cell towers are constructed to meet growing demand and more LTE-based devices enter our homes. Additionally, T-Mobile is building a new LTE network across the country over the next few years that will occupy frequencies from 600- to 700MHz, or what are currently TV channels 38 through 50. A T-Mobile 600MHz LTE antenna in Cheyenne, Wyoming. TV stations will be shifting frequency to stay on the air and accommodate the new T-Mobile signals, but the airwaves will be even more crowded. It might also mean consumers need to buy a new LTE filter to cover the new band if it causes interference. 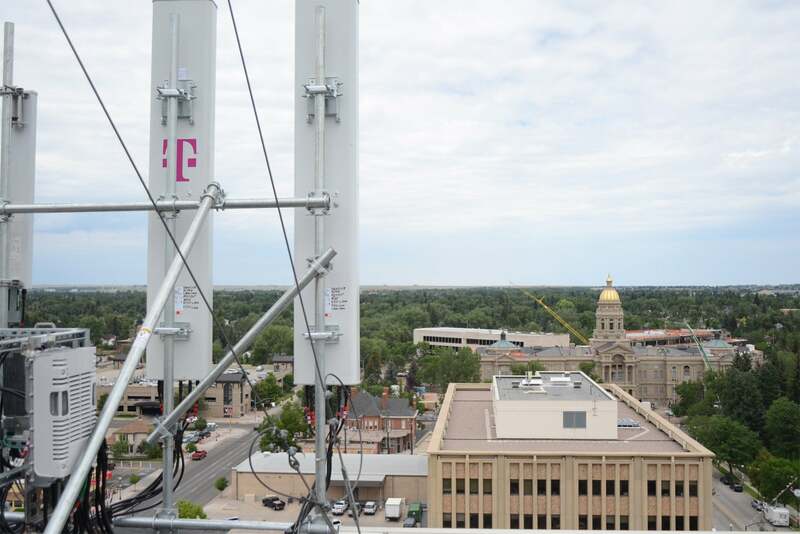 T-Mobile has already switched on the network in Cheyenne, Wyoming, and has plans to spread it nationwide. There’s already one filter on the market from ChannelPlus, which filters signals above TV channel 36. As channel 37 isn’t used in the U.S. (the frequency is reserved for radio astronomy) that neatly blocks out signals in T-Mobile’s new frequency band.